Looking back at the most outstanding roles of the ‘eternal hero’ Uttam Kumar, apart from the romantic miracle he created with co-star Suchitra Sen in film after film. 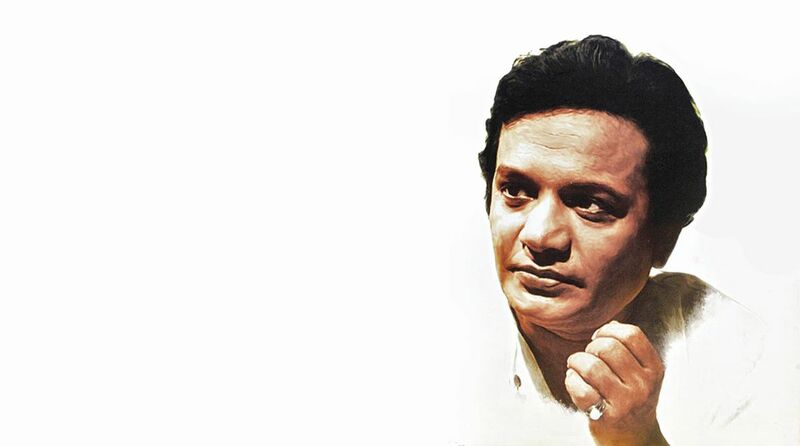 Uttam Kumar passed away 38 years ago. But he is the eternal hero whose aura never seems to fade. He inhabited a world of acting, reacting, fleshing out characters picked from literature, or, created directly from film scripts, which often born out of his image in the writer’s mind. It is time to look back on some of the most outstanding performances over his career of 159 films not repeating the romantic miracle he created with Suchitra Sen in one film after another. 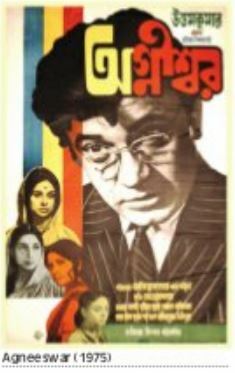 Beginning with Satyajit Ray’s Nayak where he had to mingle his real persona as a star actor with the character he had to portray – also an actor. Compared to Ray’s other films, Nayak seem to have been ignored by critics, film scholars and even industry peers who look upon his screen performances as role model. The storyline spans the Rajdhani Express’ duration from Kolkata to New Delhi. Almost the entire film is apparently shot inside the moving train compartment. But in actuality, it is a classic example of art director Bansi Chandragupta’s magic. The story revolves around a film-star Arindam Mukherjee, an icon travelling to Delhi to receive the National Award. His secretary, once his close friend, has failed to get a flight booking. Mukherjee is forced to get into the Rajdhani Express. Irritated with the unwanted attention of fellow-commuters, he shifts to the dining car. He chances upon Aditi Sengupta, the editor of a woman’s magazine going to Delhi to get a grant for her magazine. The physical and geographical journey changes into one of introspection for the hero and of discovery for the journalist. Behind the veneer of his glamour, fame and star charisma, the narrative reveals that Mukherjee is lonely, vulnerable and insecure with normal weaknesses and strengths like any ordinary man. This loneliness and insecurity overshadows the mass hero-worship of Mukherjee. He realises that everyone is curious about all the gossip around him and not at all in the man behind the starry mask. Yet, the mask is a mandatory feature of his stardom. In an unforgettable blend of body language, electric changes in facial expression, differing speech patterns, poise and silences are brought across by Kumar in a performance rarely witnessed on the Indian screen. The two dream scenes are scary, the credit for which not only belongs to Ray’s directorial mastery and the cinematographer’s magic but also to Kumar’s performance. 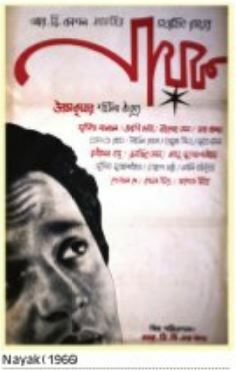 The first dream shows Mukherjee walking across a mound of currency notes till he is sucked into a hole that opens within that sea of notes and drowns because his theatre mentor does not save him. The soundtrack is filled with the ringing of many telephones that spring up like mushrooms from the mound, held by skeletal hands. He suddenly wakes up in sweat. The second one shows a dinner party where every guest is wearing dark glasses. Someone tries to bash up Mukherjee till the scene cuts onto some anonymous railway platform with the sound track filling up with staccato announcements over the public broadcast system. These dark, depressing and defeatist dreams reflect his pathos and the loneliness with greater intensity and depth than the scenes in which he is awake. Kumar was brilliant in negative roles too. He played the villain obsessed with his love for a young woman in Ayananta. In Baghbondi Khela, as the middle-aged hero, he plays a debauch whose way of life makes his wife leave him. Though he is a wealthy man, he traffics young girls from poor families. In Stree, Kumar as the villainous landlord is shocked to discover on the day of his son’s wedding that he is not the father. In Lal Pathar, he evolves from a cruel and oppressive zamindar into a mentally deranged, doddering old man, a ghost of his former self, cared for by the woman he had kidnapped and kept in his home, but had never married. His mannerisms may seem dated today but during his time, they seemed both natural and spontaneous. His star appeal also imposed some mannerisms as a part of his signature. 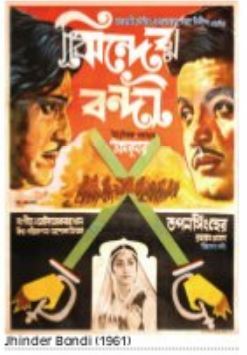 After making a mark as the romantic hero with Suchitra Sen followed by Sabitri Chatterjee, Supriya Devi, Tanuja and others, he wisely stepped into mellowed roles sans romance. This metamorphosis did not alienate his millions of fans who just wanted to watch Uttam Kumar perform. His performance matured along with age and he did it with the starry élan that was an integral part of his persona as an actor. Among these are Agniswar and Devdas in which he played Chunilal. In Nayak, Mukherjee’s portrayal is like an autobiographical performance of a struggling actor who rises to the top, but finds himself completely alone, distanced from his friends and peers. Did Uttam Kumar pour more of himself into Arindam Mukherjee than any other character he played? The only one who could have answered this question, the hero himself, is no longer around.